Grapefruit (citrus x paradisi) can be used in lots of delicious ways, including salads, seafood dishes, cordials, cocktails and preserves. Grapefruit are a tangy, rich source of vitamins C and A as well as being low in calories. They are attractive evergreen trees and there are different varieties of grapefruit available, including pink, red and the more common yellow. If you have a sweet tooth, the red and pink varieties can be a bit sweeter. Fruit are usually ready to pick in winter and early spring. 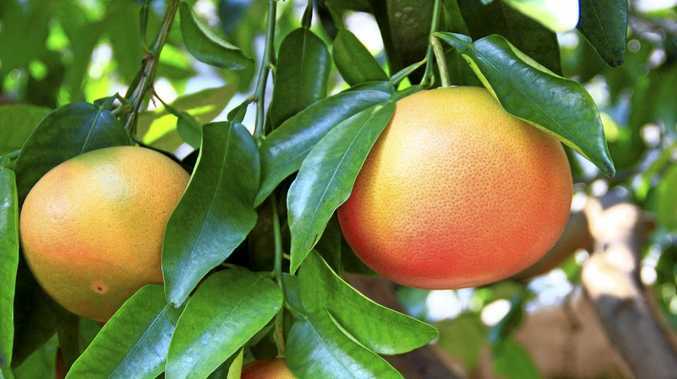 Grapefruit trees grow to about 4m tall. For smaller gardens and pots, grafted dwarf grapefruit only reach 1-2m tall. Early autumn is ideal to plant a new grapefruit. The air temperatures are starting to cool but soil is warm enough to encourage roots to grow so the tree can start to establish before winter. Choose a spot with well-drained soil that receives at least six hours of sunshine a day and enrich the soil with blood and bone. For potted citrus, choose a pot with good drainage holes (a 40-50 cm pot is ideal) and fill with a good quality potting mix.